Just Romantic Suspense: Mystery, suspense, or thriller? Congratulations to Joyce M. and Alex, the winners in Susanne's giveaway. Thank you to all who participated! Hello and many thanks to Maureen for having me here again today. 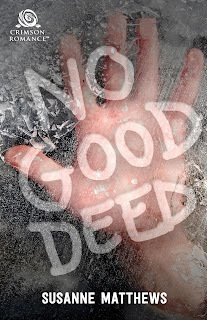 Please take a moment to comment on this post for your chance to win one of two digital copies of No Good Deed. Many of my books are romantic suspense novels, but I’m beginning to think that with some of them, including my new release, No Good Deed, I’ve gone beyond that. I haven’t stepped into the Twilight Zone, but I have edged a different category, one I can only classify as romantic thrillers. 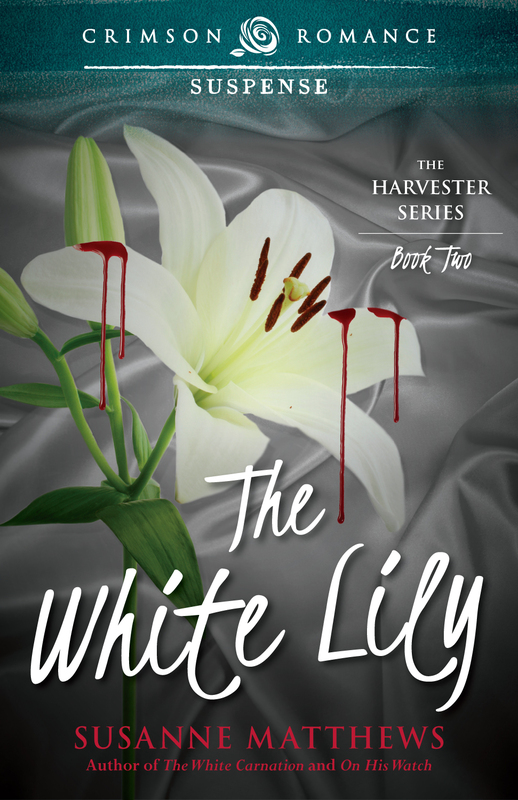 This description suits many of my novels, especially my Harvester Saga which includes The White Carnation, The White Lily, and The White Iris. Here are a few comments from reviewers. This year, Canada celebrates 150 years as a nation, and I chose to honor that accomplishment by setting No Good Deed in an area I know well. There are even scenes in my hometown. Both main characters are broken people on the run, and it is their brokenness that pulls them together as they face an unknown enemy. I hope all of my readers will enjoy this dark romantic thriller as my hero and heroine face not only physical danger, but emotional and psychological fear and their own inadequacies. Thank you so much for the support you’ve shown me since I began my career as an author. Enjoy the rest of your summer and don’t forget to comment with your contact information for your chance to win. Susanne will be giving away a digital copy of NO GOOD DEED to two lucky readers leaving a comment or email entry. Giveaway ends 11:59pm EST August 16th. Please supply your email in the post. You may use spaces or full text for security. (ex. jsmith at gmail dot com) If you do not wish to supply your email, or have trouble posting, please email maureen@justromanticsuspense.com with a subject title of JRS GIVEAWAY to be entered in the current giveaway. sounds like just my cup of tea to read on a beach! Was there a catalyst for the change? I like the thriller aspect! Glad to see a story set in Canada. It is a special place and offers many settings for both suspense and regular romance. Thanks Susanne, looking forward to reading No Good Deed.